Hey Y’all in the northeast. Chase Designs (that’s me!) has a table at The Whole Bead Show in Amherst, Ma at the end of September. I’ll be selling beads, marbles, and some collector murrine slices. If you’re in the area please come on by. The show coordinators were nice enough to send me five VIP passes for two people each. Admission is normally $7.00. If you want one, drop me a note with your address Deanna @ chase-designs.com, and I’ll mail them to you. First come first serve. Hope to see you there! In the mean time, this weekend I am headed to Bellevue, Washington for the annual ISGB Gathering for glass bead makers. I’ll be hanging out in the vendor area selling murrine Thursday, Friday, Saturday, and Sunday. The great news is the vendor area is open to the public. So even if you aren’t registered for the conference, you can shop for glass supplies all four days. The bead bazaar is held on Saturday and is also open to the public. Want to see what sort of beads Jade makes? Come on down. 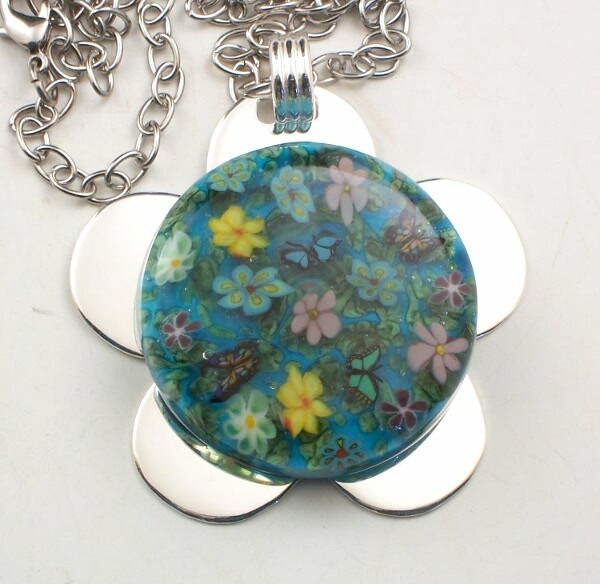 There will be a room full of awesome, ubber talented glass bead makers all in one place. It’s by far the best venue for seeing the top lampwork bead artists every year. Hope you can make it. The venue is the Hyatt Regency, Bellevue, Wa. Hey guys! Bet you thought I forgot all about you didn’t you? Nope. I’ve just been busy writing Witches of Bourbon Street, but I’m taking a break to give you the skinny on Bead Fest Texas. 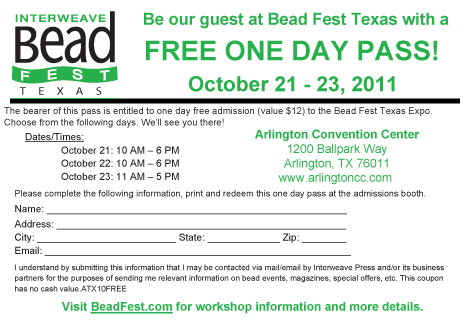 This was the second year Bead Fest was held in Arlington, and my first year doing this particular show. In comparison to Bead Fest Philly it was much smaller. I’d say about a third of forth the amount of vendors as Philly. It’s pretty close to me. It took eight hours to drive each way. Going I had my friend Susan Sheehan with me, so it seemed much shorter, especially since she drove most of the way. Our other friend Lisa Liddy was a vendor there, so for us it was kind of a girls weekend in addition to working the show. The show was low cost (relative to the other ones I do). I had a great day sales wise on Friday. (It’s a three day show). Easily my best one day total in a very long time. I had high hopes after Friday, let me tell you. There were quite a few less vendors than I’m used to, so less competition which is always nice. We had to pay five dollars a day parking. I had an artist’s table, which means one eight foot table (pretty standard). But all the artists tables were butted up against each other. I’d say there were twelve to fifteen tables all lined up with no room to get to the other side of the table. We had to trek all the way down to the end to get around to the other side. It wasn’t very convenient. Perhaps the most unfortunate issue was the show was the same weekend as the World Series. The ballpark was literally right next door. The Rangers and Cardinals played both Saturday and Sunday night. To add insult to injury the Cowboys football games was Sunday at 3 pm. Needless to say, Sunday was a snooze fest. I’m sure we lost many possible shoppers who were afraid of crowds and issues with parking. Luckily for those who did come out there was designated Bead Fest parking. However, if one didn’t brave it, they wouldn’t know that. The good news is I made more than my formula on Friday, so the show was certainly successful for me. I’ll definitely be back next year. Table fee + electricity + travel fee + $100 a day I’m out of my studio (traveling, packing, manning my booth) = Amount I have to make to consider the show successful. Next show: Houston Bead Society November, 11, 12, 13. Only Greg is handling this one. I have a book to finish. Psst, remember to come back tomorrow to join us in the Bead Soup Blog party. Greg finally decided to sell his 1971 VW Bus. Sad, I know, but she’d been hanging out in the back of the house ever since we moved here four years ago. It was only used when we needed a bigger car to haul something or when my car, the Altima, had to go in for service. Not too great for a car to just be sitting around. Last year, we put a total of one tank of gas in her. She ran perfectly fine. But with no air-conditioning and no reason to take her out, she was becoming a lawn ornament. Now she has a new home in sunny California and is getting a make over. The buyer said he’d send us pics when she is finished. I sure hope so. Anyway, we had been thinking we’d get a truck to make it easier to haul stuff, or Greg wanted to get me a Jeep to use for shows. However, all the Jeeps we found were less than desirable and Greg didn’t want to get a truck that would just sit out in the back collecting pecans from the tree back there. 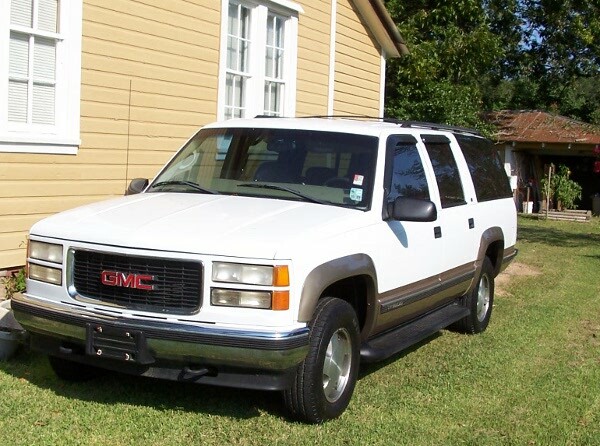 It appears the Suburban is the ultimate compromise. The funniest part is my sister also drives an Altima and has a Suburban. I’m pretty sure she’s convinced whatever car she gets next will eventually end up in my driveway. The beasts are pretty happy about it. They went a little crazy when we got home yesterday. Little dog syndrome? 🙂 I don’t know, but Puck wouldn’t stop barking at it. It was pretty dang funny. 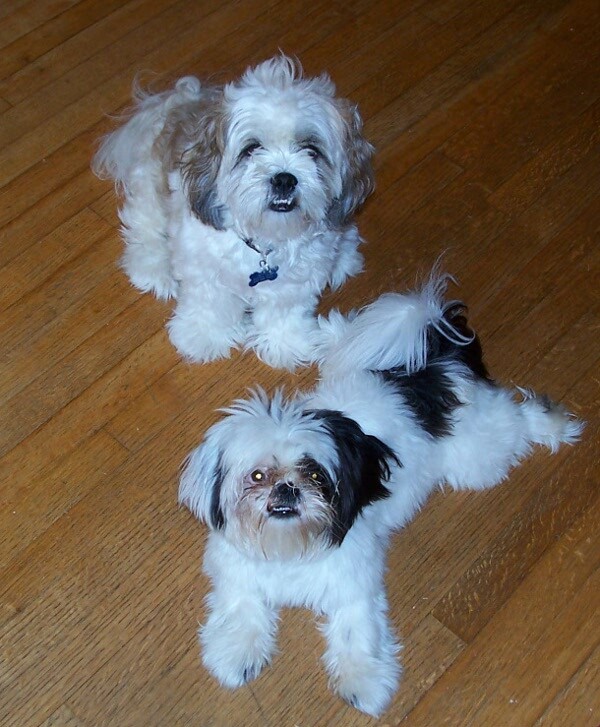 Puck is the white and black one. Last week I drove up to Philadelphia to attend the Bead Fest Bead show. It’s a two-day trip both ways from here. Luckily, my friend Angie Ramey lives in TN at pretty much the halfway mark, and I was able to visit with her on the way up and the way back. Though it really would have been much more convenient to fly. But then how would I get my gorgeous light bar and all my stuff there? The murrine bins are a particular problem. So, after mulling it over, we decided the car was the best bet. You should see the car after Greg packs it up.The trunk and backseat are full with the light bar running the length of the car and poking out between the front seats. Hey it’s only me in the car, so who cares? Plus I can bring a cooler of food and throw in anything extra I deem necessary. Like extra bubble baggies I was able to share with a friend who ran out of packaging for her beads. Yay me! My last show I used a fair amount of another friends bubble baggies so it felt good to pay it forward. Anyway, this was my first year at this show so I don’t have anything to compare it to. This was also the first year for the new venue: The Expo at the Oaks. Some people we not pleased, but the old venue is being turned into a casino (or so I heard). Hard to hold a bead show in all that construction. I heard some complain about the parking. Since we got there before the show opened each day I didn’t notice a parking issue. There seemed to be plenty. It is an Expo area. But since the show attendance was over a thousand people I can see how some would end up with a good walk. It doesn’t help that it thunder stormed all weekend. No one likes to walk in torrential downpours. Despite the new venue and rain, the promoter said the show attendance was up from last year. That’s good. But how were sales? I can only speak for myself. I have a formula for what I have to do for the show to make me money: Expenses + $100 a day for all the days I am not torching (prep, driving, and actual show days). $1805 Total amount needed to make for the show to be worthwhile. I made more than that. For me Bead Fest Philly was successful. I heard mixed reports from other vendors. Of course, without hard numbers I have no idea what they consider successful. Plus I got to spend the weekend with my good friend Susan Sheehan. I think I may have talked her into Bead Fest Texas in October. Hopefully she’ll be able to work it into her schedule.